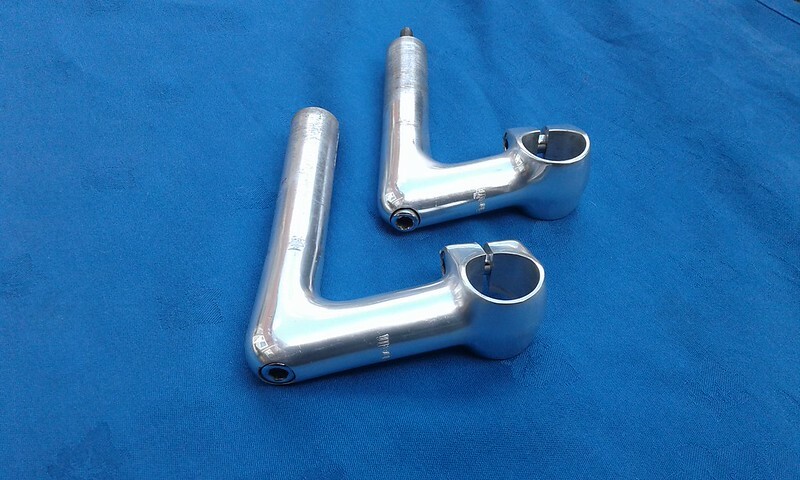 Cinelli 1a stems 85 and 70mm reach. £30 posted, the pair. 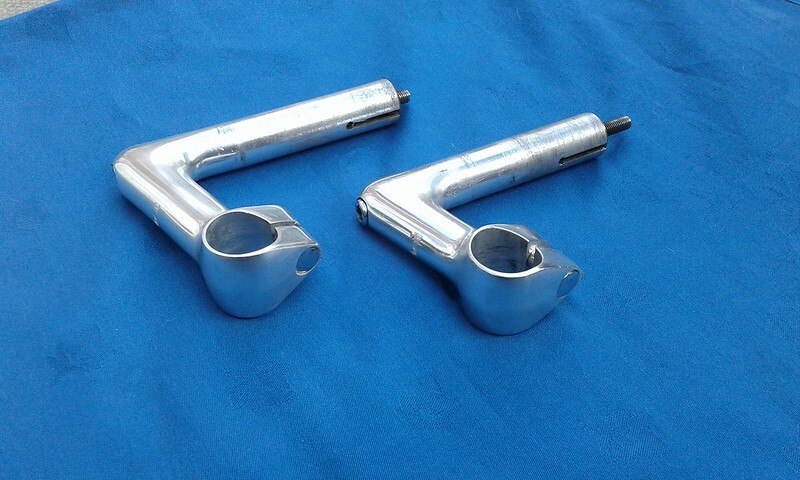 Post subject: Cinelli 1a stems 85 and 70mm reach. £30 posted, the pair. Good condition. Few marks, here and there. 26.4mm clamp, I believe. Last edited by trail-blazer on Wed Apr 17, 2019 5:13 am, edited 3 times in total. Pics to me, please! I am interested. Pics up. One problem, the 85mm stem appears to be 26.0mm. I was assured both were 26.4mm but the 85mm stem doesn't want to slide onto the centre of my 26.4mm Giro bars. 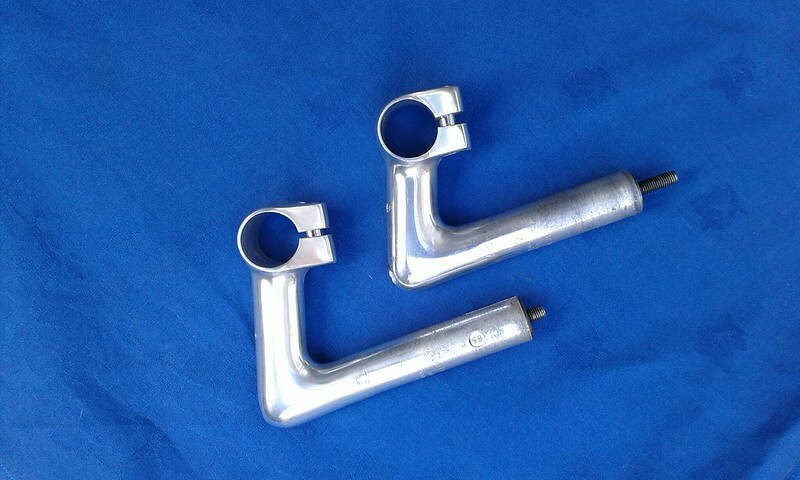 The 70mm stem (Also available) slides straight on. 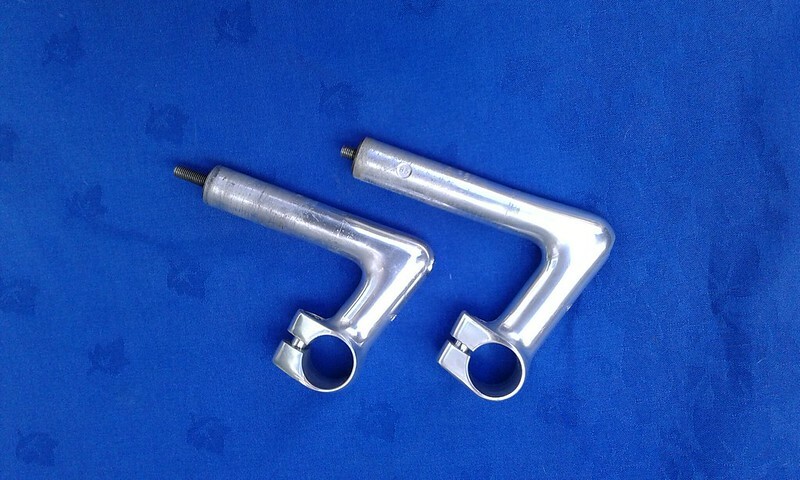 Post subject: Re: Cinelli 1a stem 85 and 70mm reach. £30 posted, the pair.